Simply sophisticated, this classic silver plated business card holder with Art Deco style geometric border is understated in its elegance. 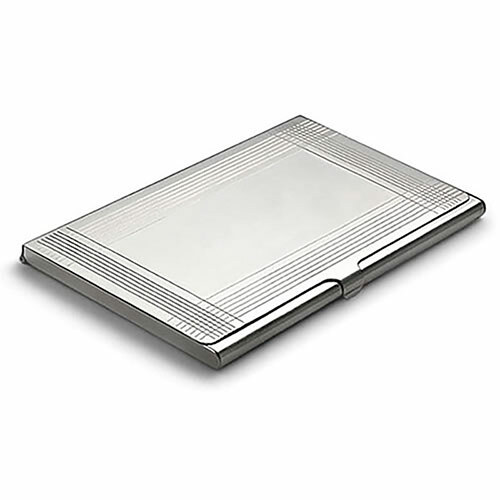 A practical and immensely stylish corporate gift or merchandise item, the Deco border on this business card holder provides an ideal frame for your engraved messages or company name. Remember, we offer free engraving of text and logos on all orders. Perfectly sized for your pocket, purse or briefcase, each case holds 10-12 standard business cards.